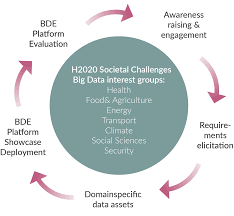 The BigDataEurope consortium has launched a Big Data Aggregator Platform to provide access to, and tools for, “multilingual data harvesting, data analytics, and data visualisation.” BigDataEurope is funded by the EU Horizon 2020 research and science funding initiative, and is composed of stakeholders from seven societal research clusters: health; food; energy; transport; climate; social sciences and security. Services include data storage, processing, analysis and publishing. The portal launch press release is available in English and German. BigDataEurope provides this video to introduce the infrastructure and services. The Social Sciences cluster is introduced on this BDE page. The ‘Challenges of Big Data for Societies in a Changing World’ cluster is holding a workshop in Cologne on 5 December 2016. Details are on this project page. EUI members may also be interested in the European Data Portal, which was launched by the European Commission in February 2016. The Portal provides access to 415,000 datasets harvested from 70 data catalogues in 34 countries (28 European Union member states, the EEA, Switzerland and countries in the EU Neighbourhood Policy programme). Data is sourced from national, regional, local and domain-specific public data providers. The interface is available in six language versions. The Eurovoc Thesaurus allows multilingual searching by data category. The European Data Portal provides an advanced search function for discovery of public open data. Data can retrieved by geographical location. 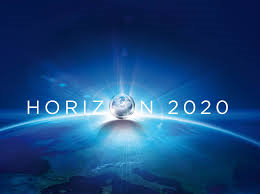 The portal is developed by the European Commission, Capgemini, INTRASOFT International, Fraunhofer Fokus, con terra, Sogeti, the Open Data Institute, Time.Lex and the University of Southampton. The EC invites feedback on the beta version via this form. The European Data Portal also harvests from the European Union Open Data Portal, which gives access to datasets from EU institutions and agencies. In March 2016, the European Commission launched the Joint Research Center Data Cagalogue (beta). The JRC is the EC’s “in-house science service which employs scientists to carry out research in order to provide independent scientific advice and support to EU policy.” Data generated by the JRC and partners is made available via the beta catalogue, which is being integrated with the European Data Portal. New FT.com interface from 5 October 2016. EUI premium subscription.